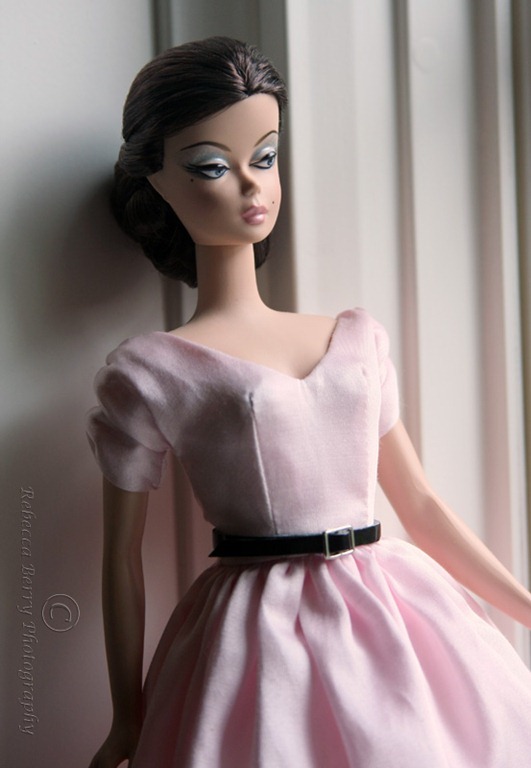 I get many questions about my doll photography. My husband and I share photography as a hobby and we enjoy learning about this fascinating subject together. I know many collectors would love to take more and better photos of their collection but become discouraged when they think they need to have the right camera or special lights, light tent, lenses….ect. While I use a number of these things in my little fashion doll studio, it is important to note that you don’t really NEED these to take a great photo. Well…you DO need a camera but it doesn’t have to be fancy. Some of my most popular and personal favorite shots were taken without my light tent in a soft diffused light that we seem to have an abundance of in the rainy Pacific Northwest of the US. Here is an example of what I mean. This was taken when I was breaking down the set from the Randall Craig photo shoot and I needed to set Miss Showgirl up in the window sill to get her out of the way. It was a cloudy day ( no surprise.. there has been no sun here for over a week!…grumble, grumble..vitamin D deficiency rearing its ugly head) and there was lovely diffused afternoon sunlight coming in the window. I loved how it looked with the white millwork and her pink dress so I forgot about breaking the set down for moment and grabbed my camera on tripod. I have used this same window for another favorite photo…. I just love these soft and dreamy shots. So…next time you have a cloudy day, grab your favorite doll and camera and find a good windowsill. This entry was posted on March 18, 2011 by raberry65. 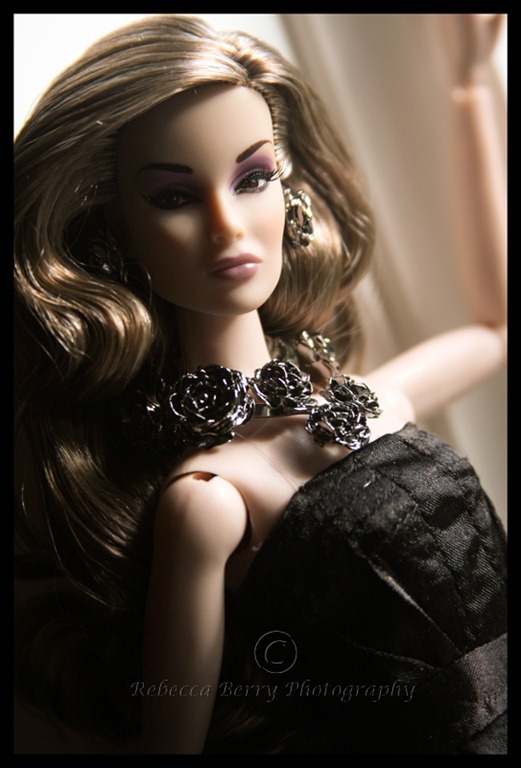 It was filed under Doll photography and was tagged with Doll Photography. I love your dolls so much! But the doll on the bottom photo is most of all. Is it Kyori?